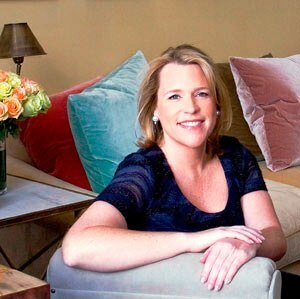 International well-heeled scenester and one-time Newport resident (and still a sometimes-summer-colonist with strong family ties), Marjorie Gubelmann, may be best known as the granddaughter of the late society doyenne Barton Gubelmann, a legendary hostess in Newport and Palm Beach circles, but the venture-capitalist-turned CEO of Vie Luxe, a global lifestyle brand, is making a name all her own. The home and bath collections showstopper is undoubtedly the candles made from a blend of all-natural, botanical waxes and fragrance oils including everything from wild jasmine flowers, exotic ceibo petals, ombu and green palm leaves, Turkish tea and black orchid, to water hyacinth, citrus zest, lemon blossoms, Moroccan clove and mulling spices. Candles in Vie Luxe’s Voyage Collection, each poured in nickel-plated glass, are named after upon Marjorie’s favorite travel destinations. Eco-Luxe was inspired by a commitment to the environment, made from soy wax and finished with a cotton wick with every component recycled, recyclable and/ or biodegradable. It says a little something when your product is featured in O, The Oprah Magazine, Traditional Home, Vanity Fair and Harper’s Bazaar. Retailing for around $30 (larger sizes upwards of $50) and making a delightful presentation in distinctly sophisticated packaging, this is one to remember for that impossible-to-shop-for Secret Santa this holiday season. 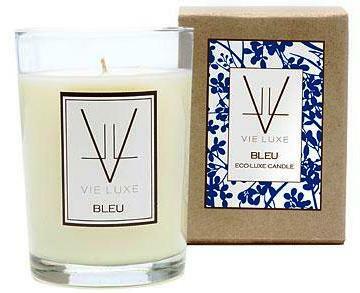 Vie Luxe candles can be found at Carroll Michael & Co., 32 Franklin Street, Newport, 849-4488. Entry filed under: Uncategorized. Tags: Barton Gubelmann Newport, Eco-Luxe, Marjorie Gubelmann, Marjorie Gubelmann Newport, O, O The Oprah Magazine Newport, The Oprah Magazine, Traditional Home, Traditional Home Newport, Vanity Fair, Vanity Fair Newport, Vie Luxe, Voyage Collection candle.